Selecting a remodeling contractor should be based on your ability to have trust and confidence in the contractor and his management of the process. Before you consider hiring a contractor, ask him these questions. Does the company have any training or certification to perform the work? 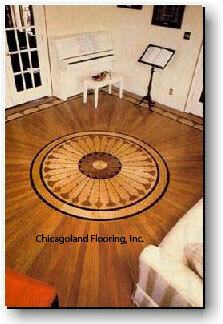 We have been trained and educated in installation, sanding and finishing of wood flooring products. Does company have permanent location and contact places? Look in the business yellow pages; does this company have a business listing and regular address, not PO Box? What about business phone line instead of only cellular phone. If not, contractor could be working out of the back of his truck, and may not be there to honor any warranty issues. You may check our business line by calling 411. Is contractor a member in a non-profit professional trade association - like National Wood Flooring Association (NWFA)? -To deal with customers with honesty and integrity. -To reveal all material facts so that the truth about products and services may be understand fully. Our company has been a member of NWFA for more than 7 years. We also attend some meetings of National Association of Remodeling Industry. Does contractor has proper technical knowledge to perform job? Every year we spend plenty of time on expending our knowledge to serve better our customers. Our company is certified by NWFA in advanced sanding, finishing and installation procedures. As NWFA members we receive the best in education and technical resources to advance our professionalism. 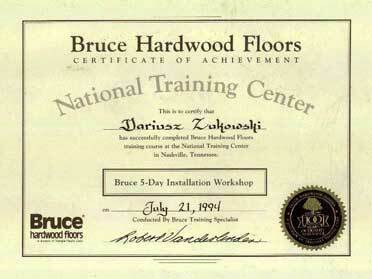 We were trained by Bruce Hardwood Flooring -the biggest wood manufacturer. 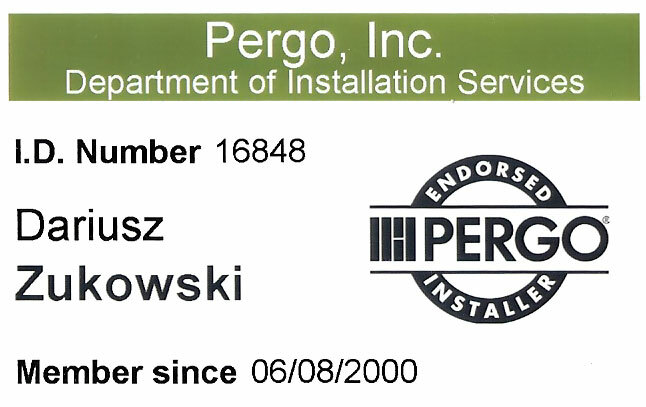 We are also Endorsed Pergo installer for laminate flooring. Does company carries proper business insurance? It is not about health insurance or car insurance. For your safety we have general liability insurance and workman's compensation insurance. Check with agent if it is current. Are jobs done mostly by subs who give cheapest bids? Do you meet with salesman trying to make his commission or somebody who has technical knowledge and can give you advice based on your needs? Only people with best skills and technical knowledge are meeting with customers to give them the best available advice. Is contractor operating credible business successfully for at least 5 years? Like other professional and reputable contractors, we are happy to provide referral information upon further inquiry. We keep customer information confidential and will not provide their addresses or personal records on the web.